Steelhead angler effort was light over the past week on the upper Salmon River. Anglers were interviewed from upstream of Salmon, ID to downstream of the Middle Fork confluence in location code 14 with the majority of anglers found in location code 15, between North Fork and the confluence of the Middle Fork Salmon River. 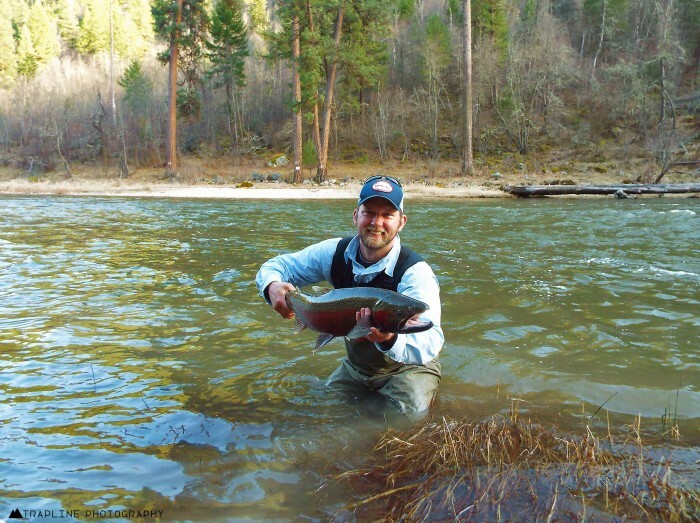 No interviewed anglers reported releasing or harvesting a steelhead. Currently, the Salmon River is flowing at 1,370 cfs which is 111% of average for today’s date. Due to precipitation in the area, the river had cloudy visibility throughout the weekend. Additionally, the river’s temperature was in the mid-50s. Steelhead anglers should be aware that new regulations are in place through the remainder of 2018. The daily bag limit has been reduced to one steelhead and the possession limit is three. The statewide season limit remains at 20 steelhead for the fall. Additional information can be found at https://idfg.idaho.gov/fish/steelhead/rules.